Home Boxing Nietes-Reveco IBF World Flyweight Title Fight added in "Superfly2"
Nietes-Reveco IBF World Flyweight Title Fight added in "Superfly2"
Filipino boxer Donnie Nietes will finally to defend his title slated in the "Superfly2" on February 24, 2018 at the Forum, Inglewood, California, USA. Nietes never been fought since April of 2017 and now needed to defend his title. Reveco the no. 1 contender will be the challenger and for sure this would be an amazing fight. Nietes 35, from Murcia, Negros Occidental, Philippines is currently the best in the world in the flyweight division. He is never been defeated since 2004 and now working to the first defense of his IBF Flyweight title. On the otherhand, Reveco 34 years old from Malargüe, Mendoza, Argentina, 3rd best flyweight boxer in the world and former WBA Flyweight champion.He was knocked out by Kazuto Ioka in 2015 but came back with his 3 consecutive unanimous decision victory. 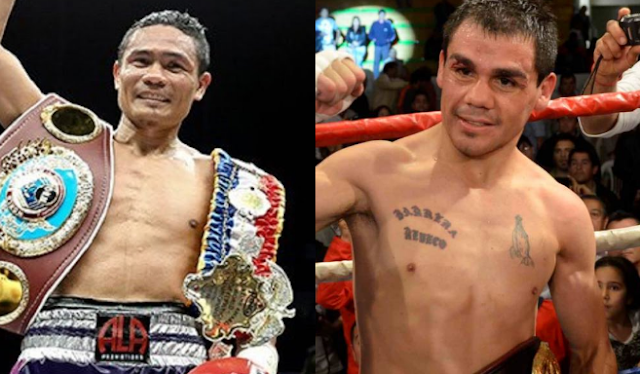 Nietes vs Reveco is added in the undercard of Wisaksil Wangek vs Juan Francisco Estrada WBC World Super Flyweight Title. Brian Viloria vs Artem Dalakian vacant WBA World Flyweight Title fight is also in the card.